Do you know magnesium plays a great role in the functioning of your body? Like all the angels and demons that play and merry and create havoc in your body, the role magnesium plays is hugely influential and is something that you really need to know about. After all we are talking about your body which needs to be healthy and fit in order to live a pain free and joyous life. No doubt, magnesium is an essential mineral for your cells, and is commonly used for more than three hundred chemical reactions that happen in your body. You can find most of the magnesium in your organ and bones and its basic function is to help keep your nerves and muscles healthy. 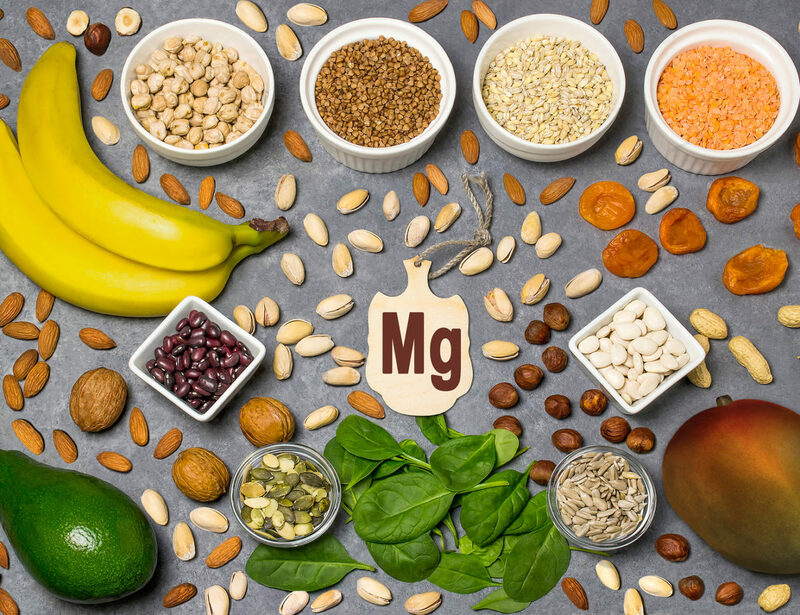 You can easily get the magnesium in all kinds of food, but you might come across of various cases related to magnesium deficiency. Unlike other minerals, magnesium is one of the commonly and abundant mineral present in the human body. About 25g that is needed and is also available for normal functioning. Like other minerals, it helps in the normal growth of the tooth and bones, and is also involved in various ranges of biochemical reactions. This ranges from protein synthesis to the regulation of blood pressure and the contraction of muscles. In addition, magnesium plays a major role in healing wounds. Studies in the 16th century have shown that magnesium was able to heal wounds of cows and nowadays it is commonly used for curing all diseases related to pains, aches, muscle cramps and even restless of the legs. There are various studies which prove that magnesium has a drastic effect on the human nervous system, and even reduces the symptoms involved in twitches and muscles spasms. It even has a relaxation effect on the muscles and helps in improving the mood that reduces the basic symptoms involved in anxiety, thereby promoting good sleep. Not many individuals know that magnesium is commonly found in various foods and it is even added in fortified food items too. It is easy to get the required amount of magnesium by consuming huge amount of food like seeds, legumes, nuts, whole grains and green leafy veggies (like spinach). You can even get the required magnesium from fortified breakfast cereals and other fortified food items. Yogurt, milk and other milk products too contain good amount of magnesium. Are There Any Magnesium Dietary Supplements Available? You can easily get the required amount of magnesium in various multivitamin and mineral supplements along with other dietary supplements. There are various kinds of magnesium available in dietary supplements which are easily absorbed by the human body like magnesium citrate, magnesium aspartate, magnesium chloride and magnesium lactates. You might even find magnesium in certain laxatives and products which are used for treating indigestion and heartburn. Some of the most common diets of the US people have less amount of the required magnesium. Individuals (males) who are older than 70 and teenage girls get less intake of magnesium. Hence, when the required amount of magnesium individuals get from food and dietary supplements together are combined, the total intake of magnesium will be above the required amount. For a short period of time, having less magnesium won’t show any negativity or any kind of dangerous symptoms. Frankly, when healthy individuals have low intakes of magnesium, their kidney will assist in retaining the required magnesium by reducing the amount which is lost as urine. In addition, low amount of magnesium for a huge (longer) period of time will easily lead to the deficiency of magnesium. Also, certain medical diseases and conditions will simply interfere with the ability of the body to absorb or take in the required magnesium or increase the magnesium which is extracted by the body which can even lead to magnesium deficiency. There are various symptoms of magnesium deficiency and they are nausea, loss of appetite, fatigue, vomiting, and extreme weakness. Sometimes extreme amount of magnesium deficiency will lead to tingling, numbness, seizures, muscle cramps, abnormal heart rate and personality change. The deficiency of magnesium is also known as hypomagnesemia which most common people overlook as a simple health problem. As per various statistical studies, about less than 5% of the people in the US suffer from the deficiency of magnesium and there are other studies which approve and prove that somewhat 75% of the individuals are not meeting the required intake of magnesium. In certain cases, the deficiency of the magnesium can be under diagnosed as the obvious signs won’t be shown or appear until the levels are quite low. Keep in mind that the causes of the magnesium deficiency can vary and they can range from the lack of required diet intake and the continuous loss of magnesium from the human body. The basic health issues that are related to the lack of magnesium are poor absorption, diabetes, chronic diarrhea, hungry bone syndrome, and celiac disease. Also, individuals who suffer from alcoholism have a higher chance of suffering from magnesium deficiency. Twitches and muscle cramps are the basic signs of magnesium deficiency. And in the worst case, the effects of deficiency can lead to convulsion and seizures. Various researchers and scientist believe that the symptoms are due to the excessive flow of calcium into the nerve cells and this will hyper stimulate or overexcite the muscle nerves. Now sometimes supplements will relieve or reduce muscle cramps and twitches in most individuals yet there are certain studies which point out that magnesium supplements wont’ be an effective and best treatment for muscle cramps especially for old people. You need to keep in mind that the involuntary muscle twitches can be due to other causes too, for example, it might be due to stress or intake of excessive caffeine. Sometimes it can be even due to the side effects of medications or other symptoms which are related to neurological diseases like motor neuron diseases or neuromyotonia. If there is occasional twitches, it is better if you can consult your doctor. Do you know mental disorder can also be a major consequences of magnesium deficiency? There are other symptoms related to mental disorder like apathy which is nothing but lack of emotion or mental numbness. The worse effect of magnesium deficiency is coma and delirium. There are additional studies and observations which prove that low amount of magnesium can even increase the chances of getting depression. Scientist are even able to prove that the deficiency of magnesium can lead to anxiety, however, there is lack of direct evidence. There are certain studies which have shown that magnesium supplements can easily benefit the individuals who have anxiety disorders but research studies are not conclusive. Hence, there is high probability that the lack of magnesium can lead to nerve disorder and even lead to mental problems in certain individuals. The disorder which is characterized by the increase risk of bone fractures and weak bones is called osteoporosis. Even studies have shown that there is high risk of getting osteoporosis and this is due to various factors. Some of them consist of lack of exercise, old age and even the poor intake of vitamin K and D.
Surprisingly, the deficiency of magnesium can even lead to osteoporosis. And this deficiency can make your bones weak and lower the levels of calcium in the blood which are the major building block of the bones. Experiments on rats show that the dietary magnesium depletion will easily reduce bone mass. However, no possible studies or experiments were done on people but they indeed show that poor magnesium intake will lower the mineral density of bones. We all know that fatigue is a medical condition which is characterized by mental or physical exhaustion /weakness and this is just another symptom for magnesium deficiency. You need to keep in mind that each individual will be tired from time to time and this can mean that you have to take rest at some point of time. But constant or severe fatigue can be the signs of a bad health issue. As fatigue is somewhat a non-specific symptom, it is very much impossible to find out until there are other symptoms involved. One of the most specific and common signs of the deficiency of magnesium is called as myasthenia. Scientists believe and feel that the weakness is due to the extensive loss of potassium in the muscle cells which is nothing but a condition that is often related to the deficiency of magnesium. Studies on animals have shown that the deficiency of magnesium will increase blood pressure and it can even promote high blood pressure. This is one of the major risks for heart diseases. Of course, there is direct evidence which leads to humans, but various observational studies prove that the magnesium level or the intake of poor dietary might increase blood pressure. Do you know that the strongest evidence of the benefits of the magnesium is from controlled studies? There are various reviews and evidences which show that the supplement of magnesium will reduce one’s blood pressure, which is common among adults who have high BP. To put in simple terms, the deficiency of magnesium will increase the blood pressure which will in turn lead to increase of heart diseases. Certain people who suffer from asthma have deficiency of magnesium. Yes, there are certain studies which show that magnesium level is low in individuals who suffer from asthma compared to healthy people. Various studies show that the lack of magnesium will lead to the creation of calcium in the muscles that block the airways of the lungs. When this happens, the airway gets constricted, making it difficult for one to breathe. Most people who suffer from asthma caused due to magnesium deficiency use inhaler which contains magnesium sulphate to assist in relaxing and expanding the airway. However, those individuals who have life-threatening symptoms need to use injections. Currently, there is lack of concrete evidence which show that dietary magnesium supplements won’t cure the asthmatic problem of individuals. Frankly, scientist and medical researchers feel that the severe asthma may be due to the magnesium deficiency. Now among the various symptoms related to magnesium deficiency, heart arrhythmia is the most common one or you can say the irregular one. Here the symptoms of the arrhythmia can be more or less in most cases and most of the time there are no symptoms for it. However for most individuals it will lead to heart palpitations which will pause one’s heartbeat. There are other basic causes of arrhythmia like shortness of breath, lightheadedness, fainting or chest pain. Sometimes in most severe cases, arrhythmia will simply increase the risk of having heart failure or stroke. Medical researchers and scientist feel that the imbalance of potassium outside and inside of the heart muscle and its cells is the major reason which is nothing but a condition that is commonly associated with the deficiency of magnesium. Certain patients who are suffering from arrhythmia and congestive heart failure have lesser magnesium levels compared to healthy people. By providing treatment to these patients using magnesium injections help in improving their heart functions. Studies have shown that the magnesium supplements can reduce the symptoms of people suffering from arrhythmia. What happens if one has too much of magnesium? One thing you need to keep in mind is that an overdose of magnesium due to natural dietary source is dangerous as the kidneys filter the excess magnesium out of the blood naturally. But if you are taking huge amount of dietary supplements, you will then suffer from impaired renal function. Do a blood test to see where your minerals levels are so that you are in control of your health.